I am so in love with the idea that this year’s Tony Awards might heavily feature two of my all time favorite theatrical events. 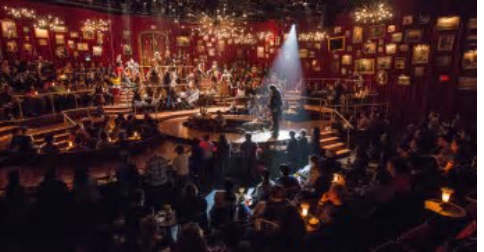 “Natasha, Pierre and the Great Comet of 1812” the genre-busting pop-opera and “Little Foxes” which makes audiences (and critics) see double with the divine Laura Linney switching up with Cynthia Nixon. I admit to bias here, but I have the Drama Desks Awards this past Sunday to second my emotions. 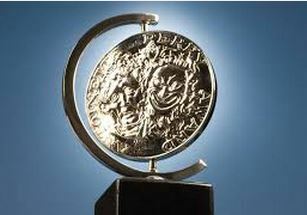 Yes, I think “Natasha, Pierre…” will win many, many of its 10 nominations on TONY night, this coming Sunday. Including, I’m calling it now, Best Musical, Best Director of a Musical Rachel Chavkin, who won the DD on Sunday, Best Set of a Musical Mimi Lien, Best Lighting of a Musical, and Best Orchestrations Dave Malloy, who also wrote the incredibly, ketchy and thrilling sung-through musical score, which may also get Malloy ANOTHER Tony in that hotly contested category. 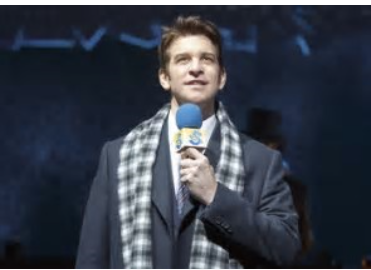 I’m going to go with the more influential than ever Drama Desk Winner for Best Actor in a Musical and think that in a surprise Andy Karl will prevail in this category. He tore his ACL, and I’ve torn mine and trust me, it’s VERY, VERY painful, and takes a LONG time to heal, and Karl, formerly nominated as Bway’s “Rocky” overcame this excruciating experience to OPEN “GROUND HOG DAY” and continue on performing it, singing and dancing as he did before, turning it into a hit, where people are coming to see HIM as well as the show. He also won an Olivier Award in London for this performance. THAT counts bigly with Tony Voters. And his HUGE, BLACK, frightening-looking knee brace is in full view the ELEVEN times he has to change into his clothes in front of the audience. And he’s clearly in pain doing all this. 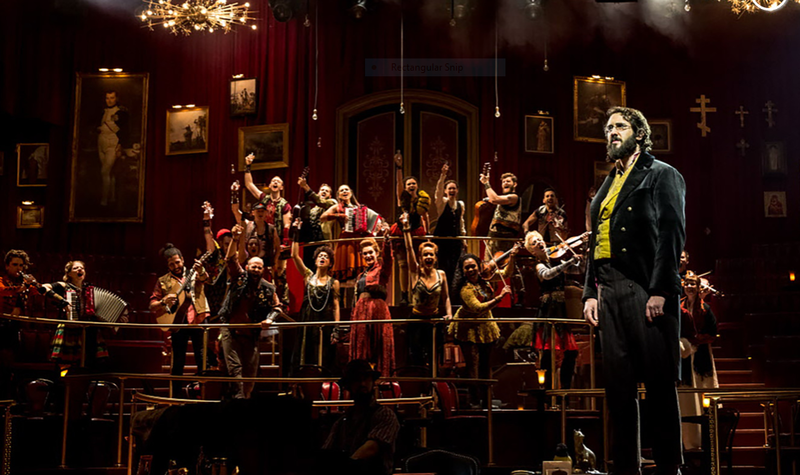 This counts heavily with the TONY voters, who know the show must go on, no matter what the pain level. I think Broadway vet Karl wins this category over 23-year-old newcomer Ben Platt in “Dear Evan Hansen.” The TONY voters, I have to add, are older and more homogeneous than even the #Oscarssowhite Academy members. Yes, AMPAS is more diverse and forward thinking than the TONYs. And pain counts. Ben Platt will have other chances. They’re not necessarily going to GET a musical about the Internet. Some of them DON’T EVEN HAVE INTERNET. So…It’s too young for TONY, but “Natasha, Pierre…” is a masterpiece based on a masterpiece, Tolstoy’s “War and Peace”, so it’s just right. It’s got the most nominations. It’s right in the Tony voters comfort zone(s). Usually the show with the most nominations wins. Let’s see if that holds true this year on Sunday night when the awards are handed out at 8pm EST on CBS. 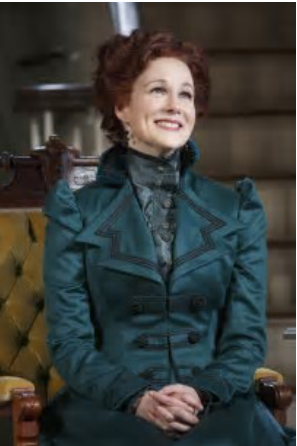 Surprisingly, “Natasha, Pierre…” won in EVERY CATEGORY for the Drama Desks that it was nominated for. And because it opened earlier Off-Off Bway, it was only eligible for the parts of it that were NEW to this production. 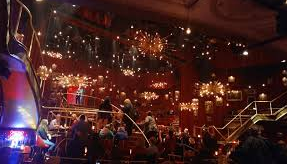 And those category were Best Director of a Musical, Best Set of a Musical, Best Choreography and Best Orchestrations. Another category that I think “NPATGCO1812” will win is Best Featured Actor in a Musical. 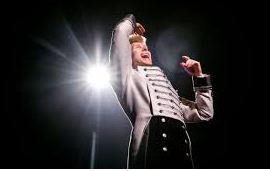 I think the TONYs will help the astonishing Lucas Steele along on his way to mega-stardom. 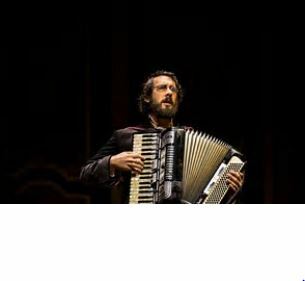 It doesn’t hurt that though he’s cited as Supporting, he has a larger part than Pop Superstar Josh Groban, who is also nominated in the lead category, where he faces Karl AND Platt, unfortunately, or the award handily would be his. Lucas Steele is Anatole, Groban’s Pierre’s wayward, hedonistic brother-in-law, a very, complicated. LARGE part of the villain, as it were, of the extremely small section of “War and Peace” that has here been excerpted. He’s hot. He’s a little dumb. And he plays the violin. And he’s charismatic beyond belief and has been with “NPATGCO1812” for FIVE YEARS in all its’ growing and re-growing on its’ way to Bway. And he hits notes that are stratospheric, to say the least. Bway vet Gavin Creel of “Hello, Dolly”, although he won the Drama Desk Award in this category, is funny, yes. But that’s about all there is to that part. , AND he was not up against his main competition, Lucas Steele that night. 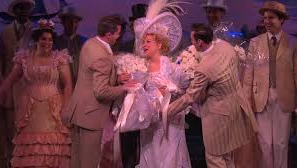 Bette Midler, of course, even though she DIDN’T SHOW to pick up her Drama Desk win, as Best Actress in a Musical, will easily win in this category. If I’m leaving out Best Play, it’s because “Oslo,” a play that bored me to death, has won every other Best Play award this year. And,yes, will probably devour the TONY, too. 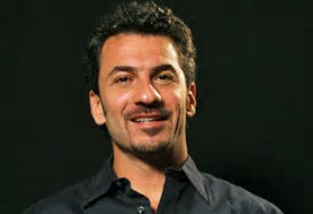 I wish my former guest Michael Aronov was going to win Best Featured Actor in a Play. And Best Actor in a Play? Oops, I almost forgot. 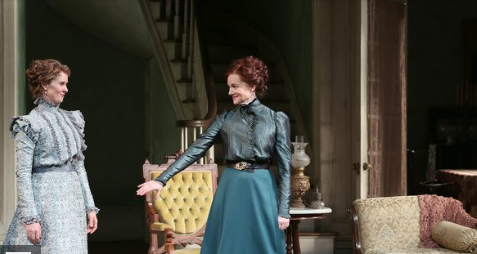 Kevin Kline in “Present Laughter” and yes, he won the Drama Desk, too.